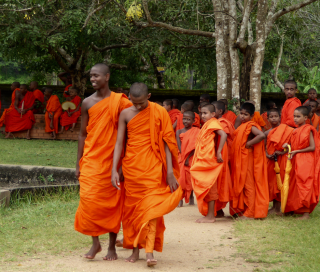 This privately guided, independent tour will take you from Negombo to explore Sri Lanka’s most stunning Buddhist World Heritage Sites in the ‘Cultural Triangle’ and beyond. You’ll view elephants in the wild in a National Park, visit ancient cities and modern-day villages, and stay in both a highland tea eco-resort and on a white sand beach for which the island is famous. Transportation will be at your own pace with an English speaking driver-guide. We believe that to travel responsibly, a portion of our tour cost should benefit the communities we visit. This trip we will donate to ROOM TO READ, an NGO that believes all children have a right to education. Their program in Sri Lanka has established 1,694 libraries, 402 schools, and published 163 book titles in both Sinhala and Tamil languages. Depart U.S and fly to Colombo via Dubai, with an optional layover and tour of this ultra-modern city. In the morning continue on to Colombo, the capital of Sri Lanka. A warm welcome awaits you at the airport by your driver/guide who will take you to a beachfront hotel north of the city in Negombo. Enjoy a walk on the beach and dinner in the hotel as the sun sets over the Indian ocean. Late morning departure for the ‘Cultural Triangle’ which contains seven UNESCO World Heritage Sites. These ancient sites are not just historical monuments but represent a devout living Buddhist culture which make them all the more fascinating. Afternoon arrival in Anuradhapura where your hotel is modeled after the ancient city of the same name—with pools, rock gardens, and an outdoor Buddhist meditation center. After breakfast, you’ll have the day to explore the sprawling temple complex that ruled Sri Lanka for over a thousand years. The site was first built over 2,200 years ago, when a branch of the original ‘Bodhi tree’, under which the Buddha attained enlightenment was planted. 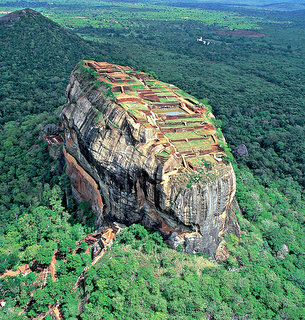 Also visit the nearby mountain peak of Mihintale where Buddhism was first brought to Sri Lanka. 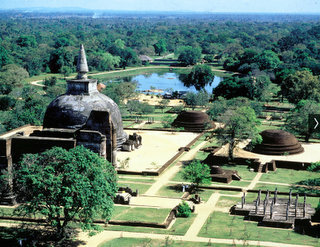 Overnight Anuradhapura. Depart Anuradhapura for the Rock Cave Temple of Dambulla. The temple complex is a series of five caves that have been in use as a Buddhist monastery for over 2,000 years. 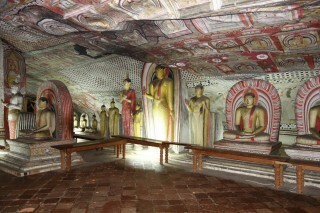 They contain hundreds of statues and frescoes—all related to the Buddha’s life, including a 47-foot-long reclining Buddha—which are all considered among the finest examples of Sinhalese art. Check in at a lovely lakeside resort in Habarana for the next three nights. Morning visit to the 5th-century World Heritage site of Sigiriya Rock, which rises an impressive 660 feet from the jungle below. View the frescoes of heavenly maidens and climb 1,200 steps to the top for an incredible view. This afternoon, take a jeep safari into one of the nearby national parks to view elephants, an impressive array of colorful birds and other wildlife. Overnight Habarana. After breakfast, drive to the former kingdom and temple complex of Polonnaruwa — capital of Sinhalese kings dating back to the 11th & 12th centuries. 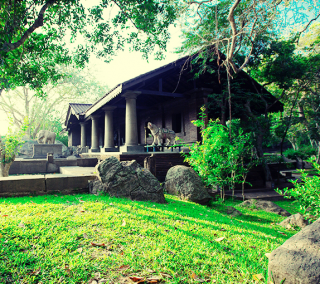 You may choose to explore this extensive site on bicycles to view the Royal Palace, the lake, and take time for reflection at lovely Gal Vihara—the rock sculptures of the Buddha. Lunch is included in a local restaurant. Return to Habarana for overnight. Depart Habarana for the Spice Gardens at Matale, an organic, multi-generational farm. Learn about the Ayurvedic and culinary uses of the herbs and spices you’ll see with the opportunity to purchase the hand-crafted products produced by the family owners. Climb further on via scenic mountain roads to your home for the next three nights, a very special eco-lodge in the midst of a highland tea plantation. Enjoy breakfast overlooking the spectacular Knuckles Range. The day is free to relax and enjoy this beautiful place, where meals are a culinary adventure prepared with fresh produce from the organic garden on the premises. 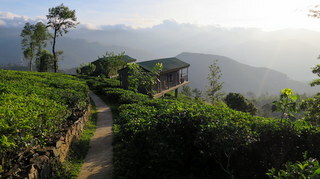 Option to take a tour of the nearby tea factory, take a guided hike with the resident naturalist, have a cooking lesson with the chef, book a massage, or swim in the infinity pool with a view to the valley below. After breakfast, depart for Kandy, considered the cultural capital of Sri Lanka. 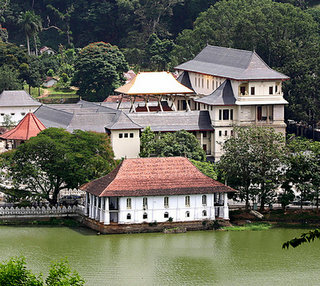 Visit the Temple of the Sacred Tooth Relic, located in the Royal Palace complex. Since ancient times, this relic of the Buddha has played an important role in the city’s life and politics. 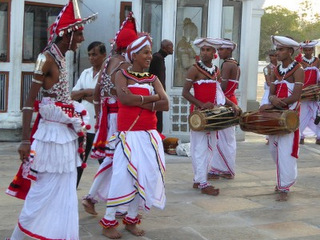 This evening, enjoy a performance of Kandyan dancers and drummers. Dinner and overnight at a riverfront hotel. A full day to explore Kandy. You may wish to have lunch while visiting the Royal Botanical Gardens at Peradeniya, home to more than 4,000 species — and a haven for quiet contemplation. Return to your riverfront hotel for overnight. 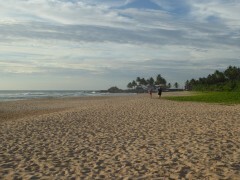 This morning, descend from the highlands to the coastal area around Galle, in the southwest part of the island. 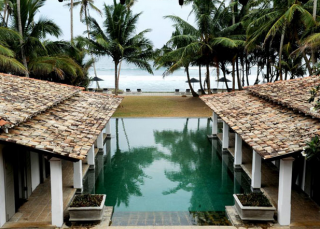 Stay the next three nights at a quiet beachfront resort just outside the port city of Galle. After breakfast venture by boat up the Madu Ganga river to see life in this complex ecosystem of mangroves and islands, where most residents live on prawn fishing and cinnamon harvesting. Visit an island monastery and receive blessings from the head monk, as well as the friendly island village of Ganga. Return to the beach hotel for a swim and overnight. Enjoy a morning walking tour of this ancient port city that was ruled by the Portuguese, Dutch and British prior to independence. 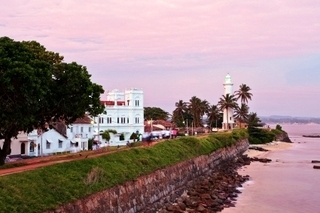 Galle is renowned for lace making, ebony carvings, and gemstones, and is a great place for shopping. Spend the afternoon exploring the cafes, shops and galleries. Return to your beachfront hotel for overnight. This morning depart for Colombo, stopping for lunch at the historic Mt. Lavinia Hotel. 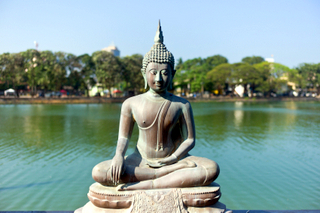 As you drive through Colombo, your guide will point out the main sites of the capital city. Afternoon arrival at your Negombo hotel for overnight. Transfer to the airport for an early morning departure, arriving the same day. 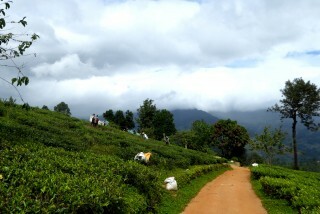 This 7-day extension includes the English colonial hill station of Nuwara Eliya, hiking in Horton Plains National Park, wildlife safaris in Udawalawe and Yala National parks, and the evening Puja in the pilgrimage city of Kataragama. Ask for a detailed itinerary. This is a wonderfully enriching, informative, tour full of purpose, meaning, and restoration. This was my third travel with the assistance of Ponte Travels. I had so much unique travel experiences that I would never get, if I had the services from other travel agencies. 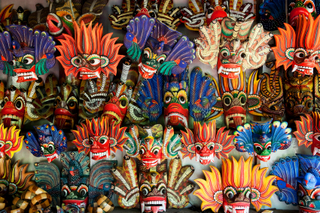 They find ways to connect the travelers with the local communities and expose them to local cultures. It is the great travel planning and service company in the Seattle area and I recommend that the travelers should contact Ponte Travels, if they seek unique travel experiences based on local culture, people and communities. 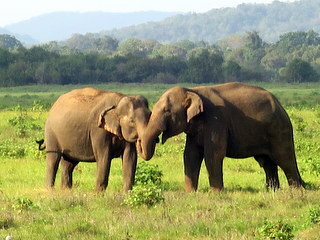 The Sri Lanka trip was wonderful, as were my travel companions, and the daily yoga. Ponte travels did an excellent job of choosing quality hotels and activities. Signed up for another trip shortly after my return! Thank you Marta and Annie!